There’s a large burl on the huge old oak at the heart of the forest that makes the tree appear to be pregnant. What will it give birth to? Kerica is born from the oak tree knowing nothing of the humans among whom she finds herself. The tree had a reason for making her, but Kerica has to figure out what it was for herself before she can decide where she belongs. A while back, my friend/fellow writer, Meredith Mansfield, published a novelette. She was very generous to give me a copy of it, and I have to say that I enjoyed it quite a bit. I love the idea of self-publishing, but sadly that also means “under-edited” or “not-edited” a lot of the time. 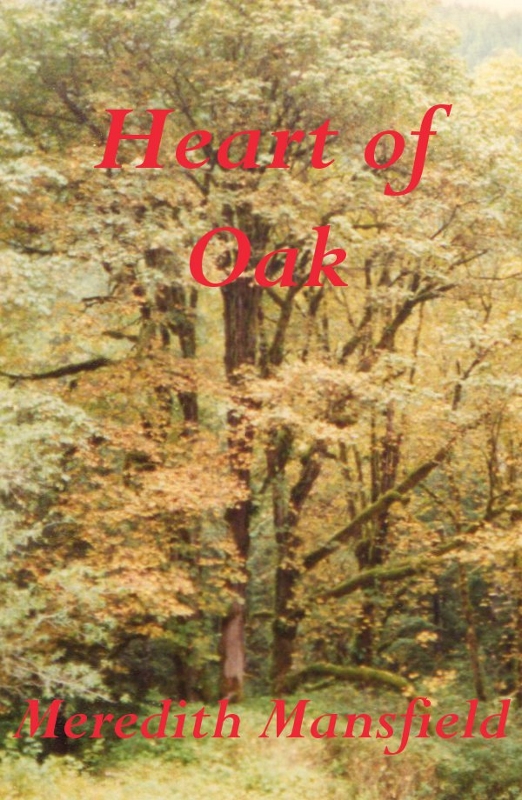 I couldn’t put Heart of Oak down after I first picked it up. It’s short, barely less than 10k words, but there’s so much story contained in that little 10k. Have I mentioned that it’s pretty much about a dryad? I might be slightly biased for liking the content, considering my own WIP, Blood of Trees. But seriously, I loved this story. So you should check it out. You can find it here on Smashwords.